It’s overused, but I couldn’t resist the title. Sock Club founders, Noah and Dane, began Sock Club because they wanted to share their love of socks with the world. They started small, curating awesome socks from other labels, and soon decided that they wanted to focus on American manufacturing. Now all of Sock Club’s socks are designed in Austin, and proudly made with cotton grown and knit in the Southeastern United States. Mike: I love the idea behind sockclub.com. It looks like you can buy socks on demand or have them delivered on a subscription basis. Do I have that correct? Dane: That’s correct. We started as a gift service that signed up loved ones to receive socks once a month. We’ve become so good at making socks that we’re building a brand. Mike: To be honest, I can’t think of a better name for your business. I mean, sockclub.com defines it. Can you tell me how you acquired the name and was it a difficult process? Can you share the price you paid? Dane: Thanks. We started with the domain sotmclub.com which I bought for the base rate of available domains about $10/month. Once the business started to get traction my brother convinced me over Christmas that I needed to buy the domain sockclub.com. I bought the domain for $500. Mike: How do you think sockclub.com compares to a name like NoahAndDanesSocks.com? In other words, how important is the domain name to your business success? Dane: Our domain name is not only important in the minds of our customers to establish trust it’s also important for search engine results. We come up first if you search “Sock of the Month Club” largely because of our domain name. Mike: These socks are American made. Aside from that awesome fact, what makes these the greatest socks ever? Dane: Socks like creating anything great is more of an art than science. We work closely with a super old american industry that has been doing this for generations. They really do know everything about making socks and have a real mastery of it. We control every aspect of our production. We source cotton from southeastern United States with a high thread count. A high thread count means that strands of cotton in the yarn are longer which makes the cotton stronger but also softer to the touch. We dye our cotton to get the 40 colors we chose to keep in inventory. But most importantly we have an incredible design team that makes beautiful socks. I would say we work through at least hundred designs which are all amazing to decide on one design to make the sock of the month. Mike: It says on your website that you and your cofounder started the company because you “wanted to share their love of socks with the world.” Love? Is that a strong word? Mike: It’s not easy staring a company and selling a product online. What advice do you have for other entrepreneurs out there looking to launch a similar business? Dane: I think if you’re going to compete with Amazon and the other big guys you have to offer something they can’t or at least is so niche they don’t want to. For us that’s a very unique gift experience and a great product that you can’t get anywhere else. Mike: With the newer TLDs available, did you consider a name like sock.club for the business? Why or why not? Dane: I didn’t. 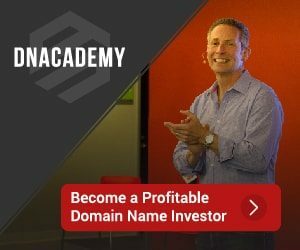 I think once there are more successful companies who use those unique domains it will be a more viable option. Right now when I think about buying domains I focus on .com. Mike: What have you found to be one of the best ways to spread the word about your business? Is social media a big factor? Pay per click? Organic search? Dane: For us organic search and paid search are the most successful. We are working on doing more business through social. 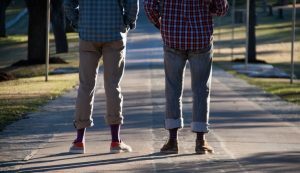 Sock Club is based in Austin, TX and sells Sock Subscriptions and Custom Socks. Nice article. Chicken or the egg?